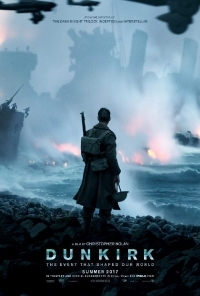 From Christopher Nolan, director of Interstellar, Inception and The Dark Knight comes the epic war film Dunkirk. The first full trailer has landed and it's full of some staggering imagery. I'm not much for war films, but when they are executed well (read: Black Hawk Down, Saving Private Ryan) the results can be something special. So far, with a stellar cast and Nolan at the helm, Dunkirk looks like it might just rank with the best. Dunkirk stars Oscar-winner Mark Rylance, Kenneth Branagh, Harry Styles, Cillian Murphy and Tom Hardy. It hits theaters July 21, 2017. WoW anything this guy does is just fantastic looking! Insterstellar one my favorite Films. But go on Amazon and read the "Big Bad War" to understand WWII and not Hollywood's version of it. Can't be as ridiculous as "Interstellar". Hopefully a historical drama will keep Nolan in check. Nolan is a talented director, but plausibility and/or historical accuracy are not his strengths. Maybe he'll surprise us.